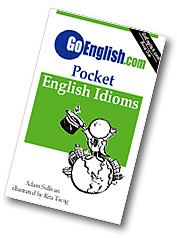 Today's Idiom = "At Wit's End"
When you have been thinking about a problem, and you are not able to come up with a good answer, you are at wit's end. Example: "Can you help me to solve this problem? I'm at wit's end." Your "wit" is your imagination and your creativity which help you to find solutions, but sometimes it seems like our wit is at an end, and will not give us the answer we need. Example: "I have to write a paper and I just can't come up with a topic. I'm at wit's end!" Example: "We have been at wit's end trying to figure out how we are going to pay our taxes."